Are you worried that the finished product you got is not actually reflect what you wanted? Worry no more. As our visual prototype and functional specification will ensure that each and every requirement of yours get met. We do not believe in chances. When we create a software we do it with complete diligence. We never assume anything. We always ask, understand and finally convey it into a plan. The tangible elements of the plan are the visualisation as well as written blueprint of the product. These two elements are sufficient for an in-depth understanding. Our client can easily comprehend the plan and understand that they get what they expect. It wouldn't be wrong to say that most software development projects fail due to a simple yet critical reason and that is poor planning. Without proper planning, the project has high chances of running into risks of delays, increased costs and errors. For our developers the real excitement only comes when the written code starts taking shape. The meticulous planning that we do is never overlooked, no stones are left unturned and no corners are left for assumptions. We know that late retrospection of fixing bugs and errors may have severe effect on cost, time and system stability. A concise as well as clear specification of functionalities is prepared. You can also call it the blueprint. It is basically a written document reflecting exactly what will be delivered by the developers. Functional model of the software or application that is being created by the developers can be called as the prototype. Even the most creative developer or member of our team may find it difficulty in exactly visualising what the software will look once it is created. The prototype will help them understand about the software in a much better manner. They wouldn't have to struggle. The first and foremost step is to prototype the new software. This is done by our technical developers who extract the necessary information that can save them from getting gaps in functionality. Also these technical developers have expertise in consultation as they help our clients by contributing their own valuable concepts, ideas as well as thoughts based on their past experiences. This is one of the most crucial steps taken by the developers of Dreamztech as their opinions can help to maximise your return on investment. Prototype is prepared by using cutting edge tools. It includes workflow diagram that ensures all clients can understand all about the background processes, various user interfaces, user journey and much more in a detailed manner. Once prototype is finalized, functional specification is written. It is similar to building an apartment. You cannot do so until you have detail of every material being used, accurate plans, positioning and measurements. Creating a software is similar. A blueprint is required that can identify each area of the software in question. It also includes understanding of functions, workflows as well as processes. A lot of graphical designs are also included for better understanding of the user interface. 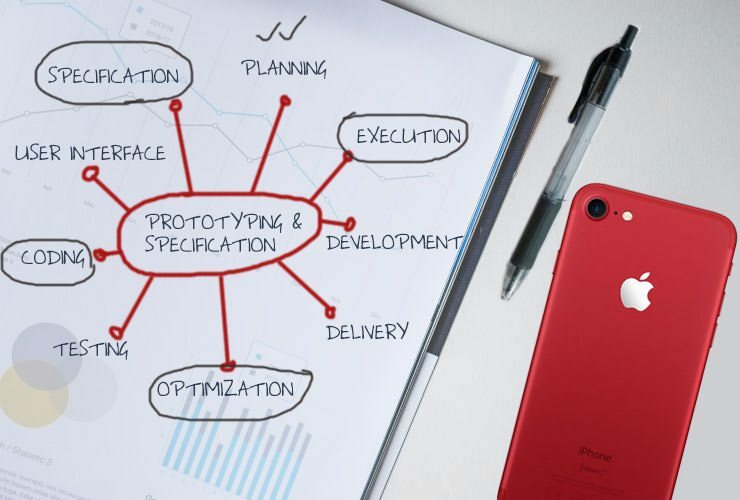 Which prototype as well as functional specification, our clients can effortlessly understand all about the product in a thorough and detailed way. Also it helps in ensuring high level of quality maintenance and improvement in workflow.